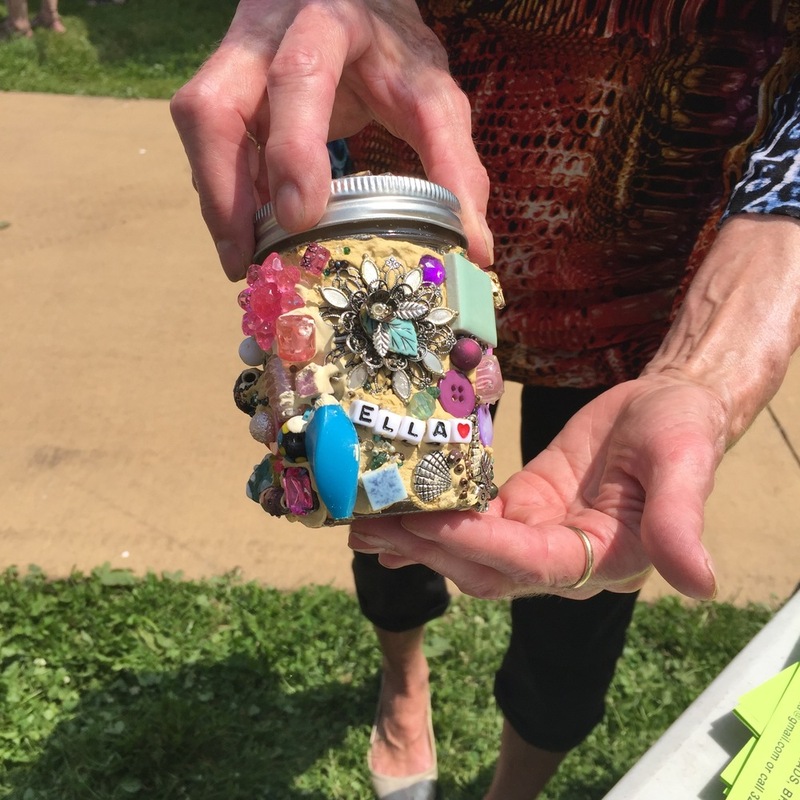 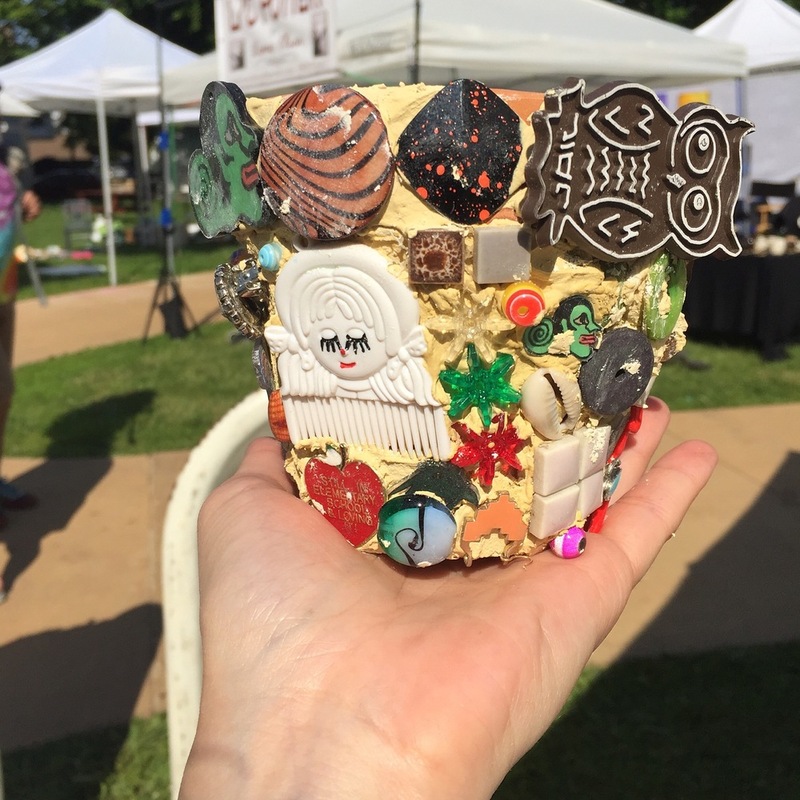 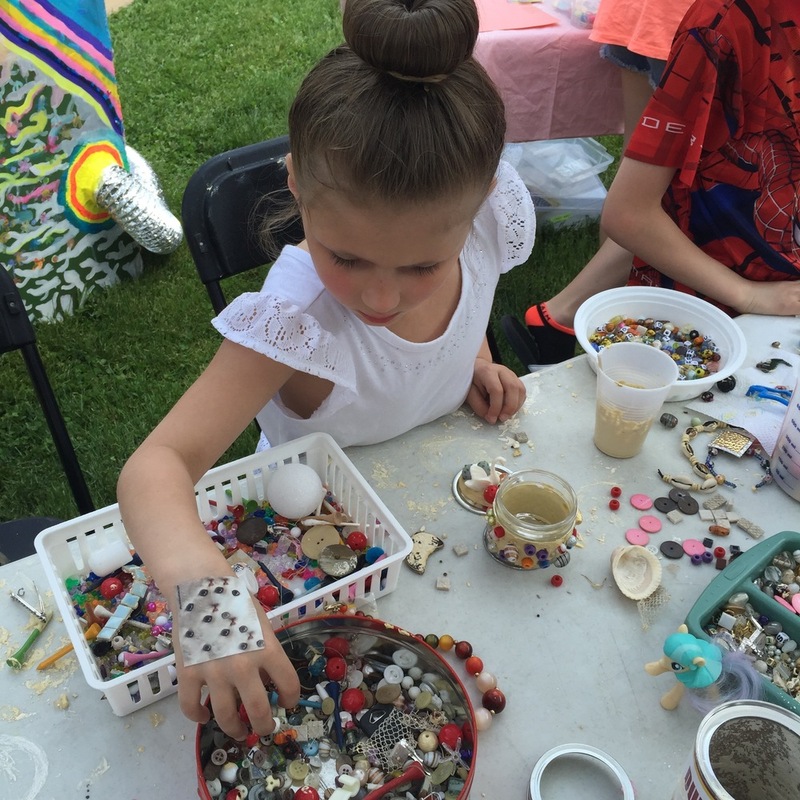 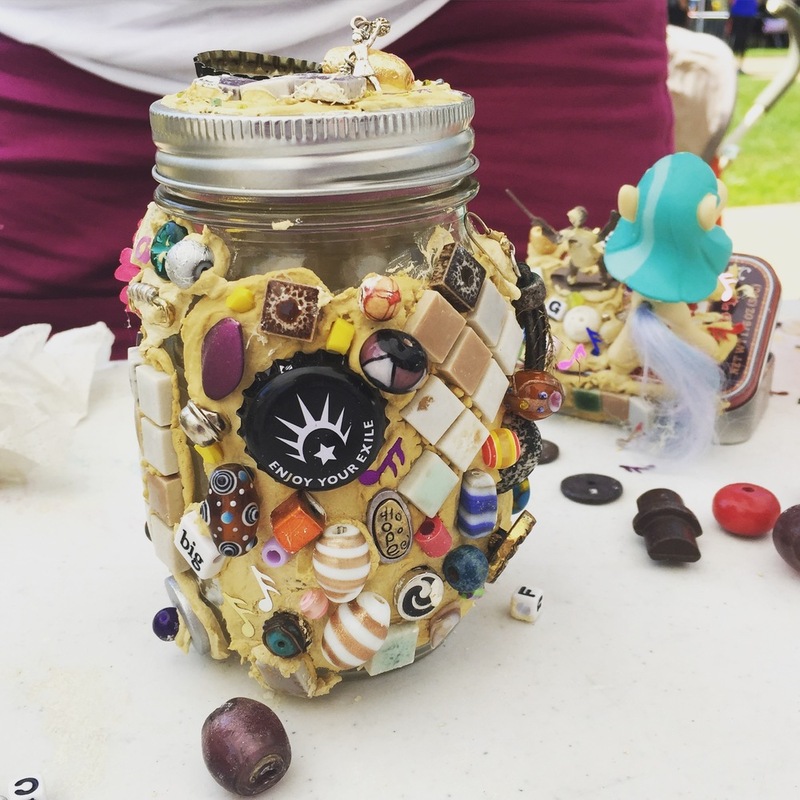 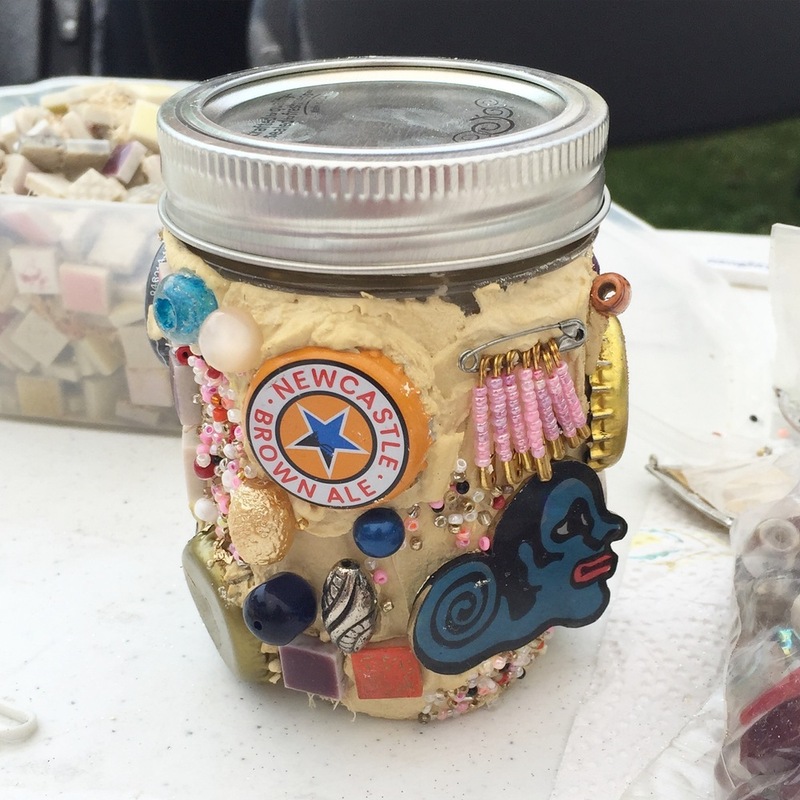 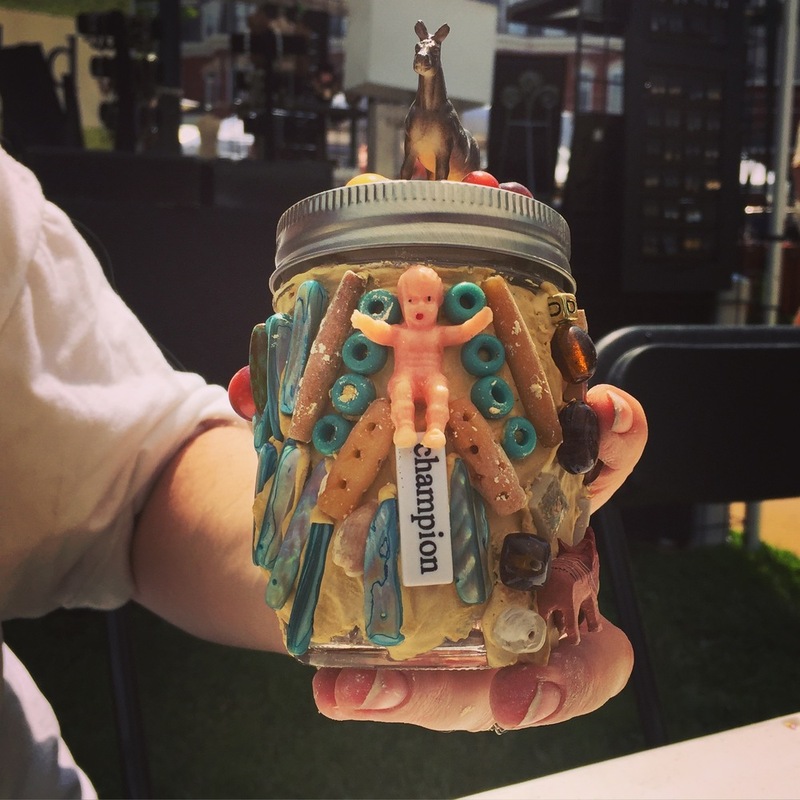 During Dubuque Fine Arts Festival 2016 participants had the opportunity to learn about historical grottoes and grotto-makers from Dubuque and the surrounding area such as Catherine Bastian , Madeline Buol, and "Mary XYZ" through shared photo documentation from my travels in addition to getting their hands dirty creating their own personal shrines or memory jars from materials donated by community members. 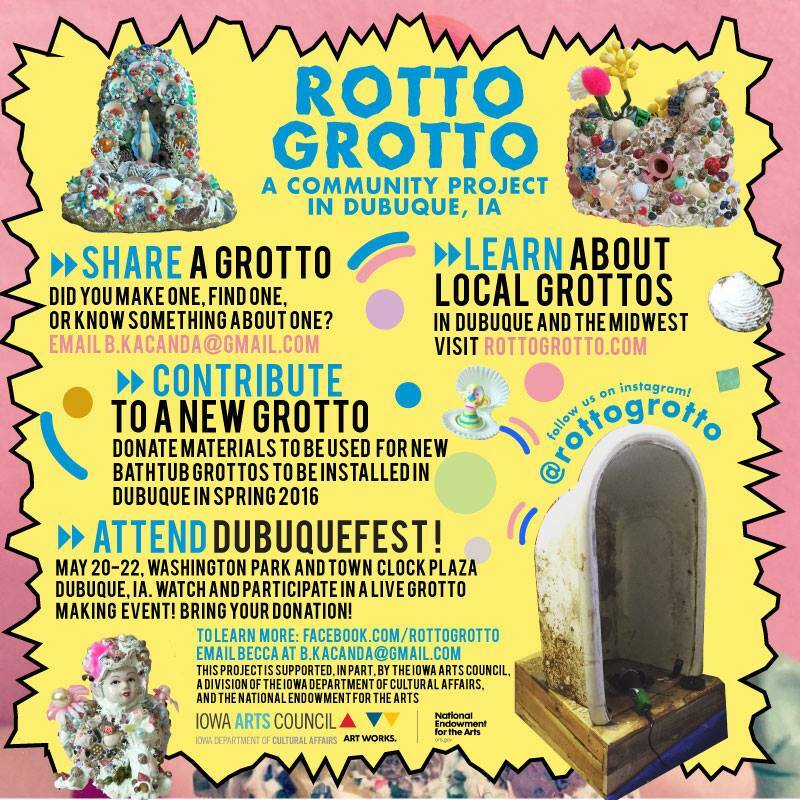 I also exhibited my own bathtub grottos which were collaged with mortar and embedded with objects donated by community members. 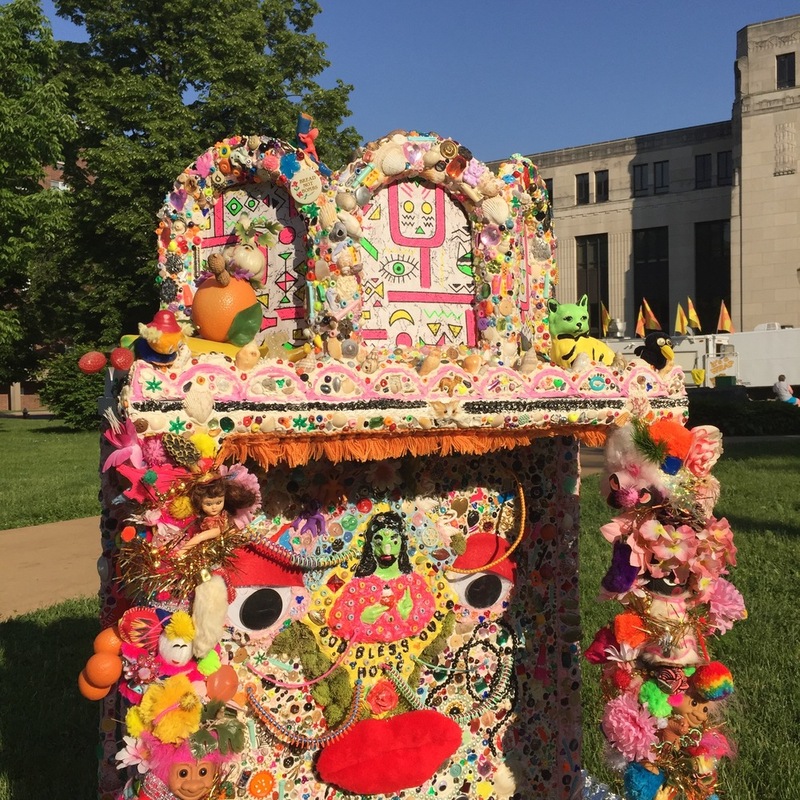 The bathtub grottoes were shown as works in progress, and throughout the event I gave demonstrations of my technique.